Description: Smart homes, when applied to elder people, can be considered as residential houses equipped with sensors and automated devices whose goal is to deliver care and monitoring of the people living in them. Such assistance must be defined in the long-term, and it must attempt to balance the immediate specific needs of the user with the long-term effects that the robot’s and assistance technologies can potentially have on the user’s developmental trajectory. The LifeBots project will investigate the use of lifelong technologies as a key resource to adapt to new goals, user’s preferences or environmental issues that require a tailoring of current assistive settings. Description: The project is focus on robotized Comprehensive Geriatric Assessment. In particular, it focuses on the development of CLARC, a mobile robot able to receive the patient and his family, accompany them to the medical consulting room and, once there, help the physician to capture and manage their data during the Comprehensive Geriatric Assessment (CGA) procedures. Description: The main objective of the project is to analyze the problem of goal management for long-term autonomous systems, design appropriate algorithms for addressing the different components of goal management, and develop software tools that help on the application of this technology to Smart Cities tasks. The long-term goal of fully autonomous systems is a highly ambitious objective for many fields, including Artificial Intelligence or Robotics. Thus, we focus on one of the aspects that has been less explored in the literature, but with a big impact on the overall objective of long-term autonomy: automatic goal management. Description: The main objective of this project is to develop and integrate technological solutions in order to implement new forms of customization and interaction in the field of digital content. It aims to develop innovative mechanisms for user-advertisement interaction. In this sense, one of the goals, where the group PLG is working at present, is the human-robot interaction. Description: DC-II Prototype Tasking & Data Centers WP 2. Sensor Planning Services. On the development of a tool for planning sensors observations. 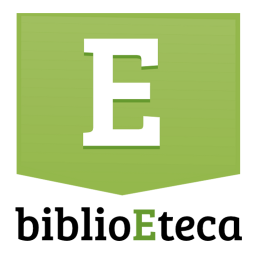 Description: Publishing Technology Platform, Disclosure and e-Book Distribution to Promote Reading and Literary Creation in Castilian through Social Networks.. Contributors: Digimate Computer S.L. and Lakotel Soluciones S.L.L. Description: Platform for Digital Content Management and Tourism Services for Travellers. Description: Data Analysis and Learning autonomous behaviors for systems generation decision support in business simulator. Financing: Simuladores Empresariales S.L. y proyecto de Investigación Fundamental Orientada a la Transmisión de Conocimiento a la Empresa (TRACE) del MICINN . Description: Research project on Briding Courses for Mathematics. Description: Planning Execution and Learning Architecture. The goal is to build a domain-independent architecture for planning, execution and learning in domains as robotics, or video games. Contributors: Universidad de Granada and Universidad Politécnica de Valencia. Description: Research projects on the application of planning to data mining. Description: Recognition based on Planning Activities. Research project on planning for activity recognition. Description: Our task consists on the development of planning technology for logistics applications. Description: Research project on integration of planning and machine learning. Financing: CAM (regional government of Madrid) and UC3M. Description: Joint Initiative for automatic task planning. Research project on mixed-initiative planning and machine learning. Description: Research project on adaptive multi-agent planning systems context dependent. Description: This project that applies AI techniques to process modelling, simulation and optimization. Description: The primary objective of the Action is to develop and implement computerized systems for extracting previously unknown, non-trivial, and potentially useful knowledge from structurally complex, high-volume, distributed, and fast-changing scientific and R&D databases within the context of current and newly developing global computing and data infrastructures such as the GRID. Description: Creating an innovative environment for communication of intelligent agents. National network of kind place in Agent Cities.